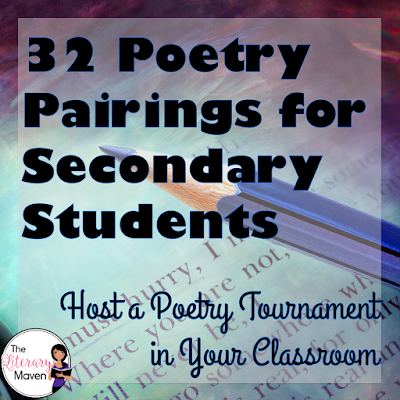 Last year, I shared 30 favorite poems for secondary students after being inspired by an Edutopia recent article, 4 Reasons to Start Class With a Poem Each Day, by ninth grade English teacher Brett Vogelsinger. This year, he and I seem to be of like minds again. 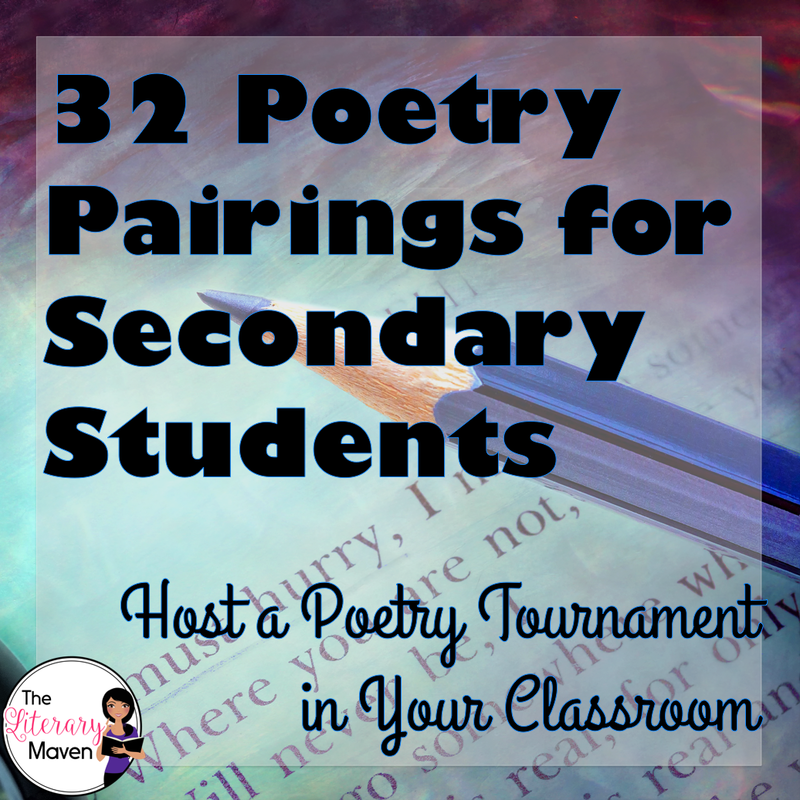 After reading another of his Edutopia articles about the benefits of pairing poetry, I was inspired to create my own list of poetry pairings. Vogelsinger believes that "comparing two poems side by side fosters deep thinking and rich discussion—even in classes beyond English" and shared three possible pairings. Both poems use an extended metaphor to explore an idea. Dunbar uses a caged bird to represent the plight of slavery, while Dickinson uses a bird to show how hope perseveres. Personification is used to give the moon human-like qualities in the two poems by Dickinson and Stevenson. A great compare and contrast activity would be to have students draw a picture of the moon based on each poet’s description. Childhood memories, both happy and sad, come to life in “Fifth Grade Autobiography” and “Nikki-Rosa.” Both also emphasize the importance of family love. Both Sandburg and Hughes bring music into their poems. "Jazz Fantasia" has the sounds of drums, banjoes, and horns while "The Weary Blues" includes the lyrics of a blues song. At the surface, the lure of the ocean is the topic of these two poems, but on a deeper level, both deal with death. "Sea Fever," which has great imagery and uses alliteration, has a haunting quality because of its repetition. Both poems have an easily identifiable rhyme scheme. These two classic, yet very stylistically different poems present the message of how fleeting life, and its marvels, can be. Listening to Brooks read her poem is a must. 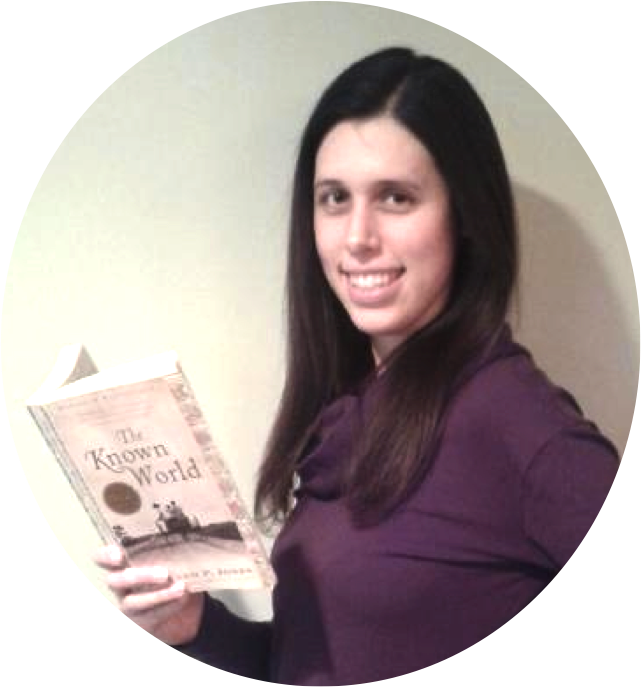 She gives some great background on writing the poem in the audio included at the link above. Both poems center around the idea of the unfulfilled dream. Flick Webb is the ex-basketball player in Updike's poem; once great, he now pumps gas. Hughes's short, but powerful poem asks questions about what happens to dreams that are put off. The snowman, symbolic of childhood in winter, is featured in "Boy at the Window and "Snowman." "Boy at the Window" is interesting because it is written in third person limited point of view and focuses in on the boy first, and then the snowman. The narrator of "Snowman" is not quite as young as the boy in "Boy at the Window." The snowman he builds is part of his efforts to woo a crush. Mirrors and the displeasure of looking at oneself in one are the focus of these two poems. In "Same Song," the speaker shows both her daughter and her son's interactions with the mirror. I appreciate that she depicts both genders as struggling with their body image. In "Mirror," the mirror is the speaker and claims to be "truthful" rather than "cruel." If you haven't read anything by Jimmy Santiago Baca, you should, especially his autobiography, A Place to Stand. Knowing a little about his life, makes his poem "I am Offering This Poem" even more meaningful. Eloise Greenfield's singsongy poem is simpler, but shares the same measure: that poems are things to be treasured. The female narrators of these poems are coming of age and experiencing the rush of being young and beautiful. Both poems are full of great imagery and Dungy's poem gives a nod to "We Real Cool" by Gwendolyn Brooks, another possible pairing. These are two of my favorite poems with which to start a poetry unit. As we read "Introduction to Poetry," I have my students create a stanza-by-stanza cartoon strip. "How to Eat a Poem" leads to a great discussion about what type of food she is comparing a poem to; I've heard everything from a piece of fruit to a cheesesteak! Both poems describe the struggle of African American women. Hughes's poem features a mother telling her son of her trials, while Walker's poem is narrated by a child reflecting on her mother’s perseverance through the challenges she and the women of her generation faced. The myth of Daedalus and Icarus can be paired with these two very stylistically different poems detailing the fall of Icarus. Pieter Bruegel's painting, "Landscape with the Fall of Icarus," was the inspiration for these two poems, but there are a number of other wonderful paintings on the same topic that they can be compared also. If you are reading any utopian or dystopian literature with your students, these two poems would be great adds to your unit. We just finished reading The Giver and used Alice Ostriker's poem to emphasize the impossibility of the existence of a perfect place. Published in the 1920s, just five years apart, these poems share the pain of being excluded in one's own country. McKay and Hughes have much different outlooks on what the future will hold. These two poems are a touching tribute to aging and emphasize the happiness of a life well lived. "When You Are Old" has a wonderful rhythm to it, which makes it perfect for reading aloud and both poems incorporate personification. A son's admiration for his father is shared in both "The Secret Heart" and "Those Winter Sundays." the tender poems encourage us to show appreciation to those who love us now rather than later. The sports fans in your classroom will enjoy these two poems about baseball. They are both light, playful poems. "The Base Stealer" is inspired by Jackie Robison and "Casey at the Bat" has an unexpected ending. Both of these poems dwell on the distance between mother and daughter. In "Hanging Fire," the speaker is a teenage girl and her issues with her mother are in the moment while in "Mama, Come Back," the speaker is reflecting on the past. "My Papa's Waltz" and "Listening to Grownups Quarreling" are told from a child's point of view and reveal their parents' flaws. Roethke's poem is about a drunk father and Whitman's poem is about arguing parents. Death is the subject of these two classics. In Dickinson's poem, the speaker is busy living life and caught unaware by death. In Thomas's poem, the speaker encourages all men to fight against death, to fight to live. In these playful poems, the poets describe the effects of the wind, since the wind itself cannot be seem. Stevenson's poem personifies and directly addresses the wind. Rossetti's poem is shorter, but both have an easily identifiable rhyme scheme. Published roughly 100 years apart, Whitman and Ginsberg describe America as they see it. Both poets share their love for America despite its flaws. Ginsberg's poem is full of cultural references that students could research to fully understand the poem. These two love letters-like poems are full of figurative language. Both hope that their love will live on forever; Bradstreet because they have lived a pure life and Shakespeare because he has captured his love in a poem. If you want to bring some silliness into your classroom, these two poems are a perfect pick. The poets playfully describe their shadows. Stevenson's shadow has a mind of its own, while Silverstein's shadow shrinks after a washing. "Mr. Nobody" is a clever poem about all the things that go wrong around the house, all of which can be blamed on Mr. Nobody. "One Art, " a poem about losing things, starts off light, but turns serious. Maya Angelou and Nikki Giovanni are two female poets who are proud of their beauty and their identity. These two poems are a celebration of themselves and encourage all women to feel empowered. Both of these poems touch on the special bond between sisters, a relationship between two women who are connected, but not the same. It is clear that appearances are deceiving in "We Wear the Mask" and "Richard Cory." Dunbar's poem captures the oppressed feelings of many African Americans in the early 1900s. "Richard Cory" tells the story of a man many admire, but suffers from unnamed inner turmoil that results in an unexpected ending to the poem. Helen of Troy is depicted very differently in these two poems. Poe's poem conveys reverence of her beauty, while Doolittle's poem conveys loathing. These poems would be a great pairing with The Iliad, The Odyssey, or a unit on Greek mythology. Find all of my resources for teaching poetry here. Great idea for march madness. Thanks for the suggestion. FYI I ran into problems trying to generate the brackets using the tool you mentioned. Ended up using make-a-bracket.com instead, otherwise great! I don't think the link for "The Summer I Was Sixteen" is working correctly. It takes me to another poem by another author. Your articles are reach of ideas. Thank you for sharing.